It was according to new research by the Knowledge Academy which said the sectors had grown 5.4 per cent and 47 per cent respectively. The number of students attending university to study veterinary science has jumped almost 50 per cent in the last decade, taking the top spot over all subjects. This was according to new research by the Knowledge Academy which said the sector had grown in universities from 4,850 students in 2007-8 to 7,145 students in 2016-17. Agriculture and related subjects was also up 5.4 per cent over the decade, up from 17,680 students to 18,630. It was despite a drop in overall student numbers in UK universities of 56,400 fewer than in 2007-8. Caroline Drummond, Linking Environment and Farming (Leaf) chief executive, said: “We are delighted to see the number of university students studying agriculture is on the rise. 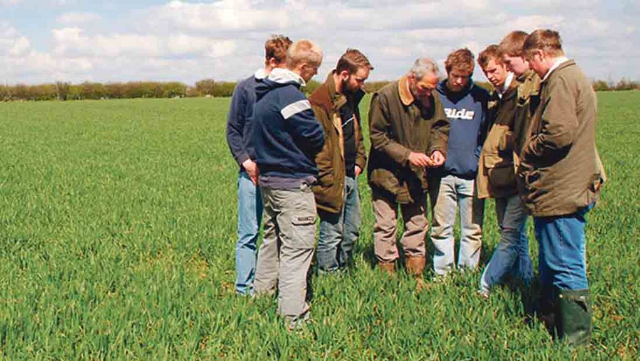 “At Leaf we have been strengthening the connections between the public and agriculture for more than 27 years and Leaf Education is fully dedicated to engaging young people with farming, helping them understand its impact on their daily lives, as well as opening their eyes to the many exciting career opportunities in the sector. Both agricultural and veterinary science were both more heavily dominated by females, the Knowledge Academy said, with figures at 77.3 per cent of veterinary students and more than 60 per cent of agricultural students. It came as the industry slammed a report which suggested putting students off ‘lower earning’ university subjects – including agriculture. The report, ‘A question of degree’, said of the 8,425 undergraduate students enrolled in agriculture and related subjects in the 2016/17 academic year, it was expected they would be earning about £24,300 10 years after graduation.